Warren released a video on Monday delving into her longtime claims of Native American ancestry and whether it had an effect on her hiring as a law professor at various schools in the 1980s and 1990s. A DNA test's analysis showed "strong evidence" she had a Native American ancestor around six to 10 generations back, which could make her as little as 1/1,024th Native American. 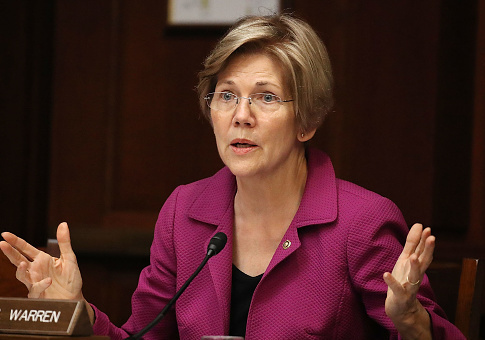 Warren, who recently said she would take a "hard look" at running for the White House in 2020, said in the video her background had no role in her hiring as a law professor at the University of Pennsylvania and Harvard. "Her heritage had no bearing on her hiring, period," Westbrook said of Warren's tenure at the University of Texas. "She is a tremendous teacher, an important scholar," Fried said. National Review noted Warren was considered a "minority hire" at Harvard at the time, and she was even described at the time as the first "woman of color" hired at the law school. Warren has long told the story of her parents eloping in spite of her father's family disapproving of her mother's Cherokee Indian heritage. Warren's video Monday featured several clips of President Donald Trump mocking the senator's claims and calling her "Pocahontas." Fact-checkers could never independently verify her claims because they were based on family lore.